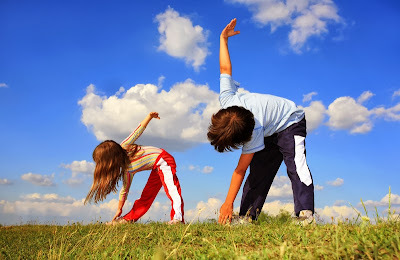 Exercise for Kids: 4 Reasons Why Juniors Should Exercise! Exercise for Kids: 1. Healthier body, happier heart. When we exercise, we breathe heavier and faster making our heart pumps enough oxygenated blood, which is called Haemoglobin to all parts of the body. The more we exercise, the stronger our heart gets. Activities that strengthen the heart muscles include swimming, running, hiking, biking and playing games like basketball, baseball and badminton. Try these activities with the little ones for added fun.